The Chicago Bulls and Blackhawks have called the United Center their home since 1994, but the latest addition to this iconic sports facility is really giving fans something to cheer about: a new 10,000 sq. ft. retail experience dubber the Madhouse Team Store. 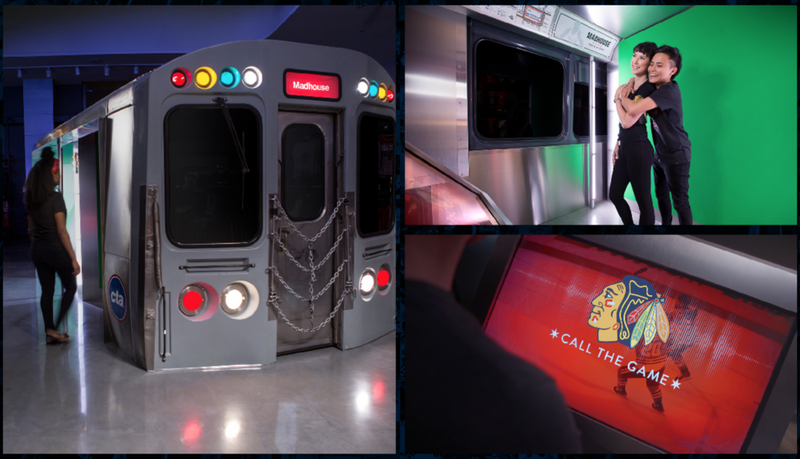 Fans visiting the store will have the opportunity to make play-by-play calls from some of the most famous moments in Blackhawks and Bulls history via an interactive touchscreen inside a technologically reinvigorated CTA train car. 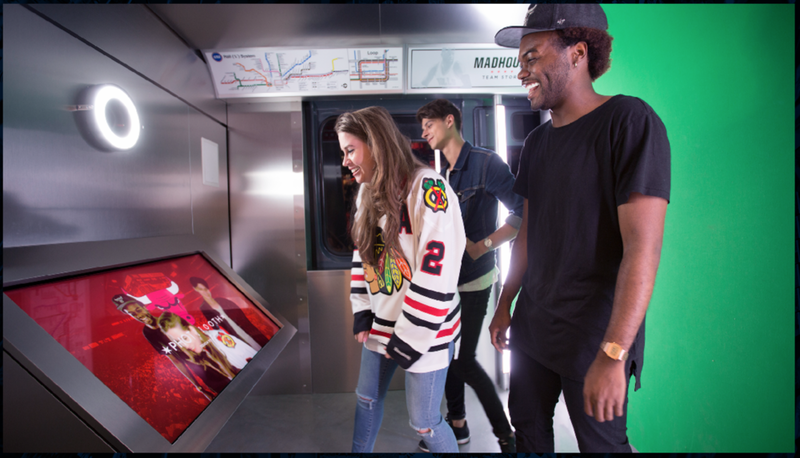 The car also features an interactive photo booth that will allow guests to insert themselves into iconic photos that can then be shared on their personal social media channels. Additionally, a large interactive timeline lites multiple fans simultaneously search through photos, videos, and fun facts of each teams history. According to Craig Geffery, Directory of Retail Operations, the Bulls and Blackhawks just won an award at a National convention in Vegas for the most innovative team in the NBA and NFL for interactive experiences in the 2016/17 seasons. He credits Leviathan, and our work for the majority of that award.